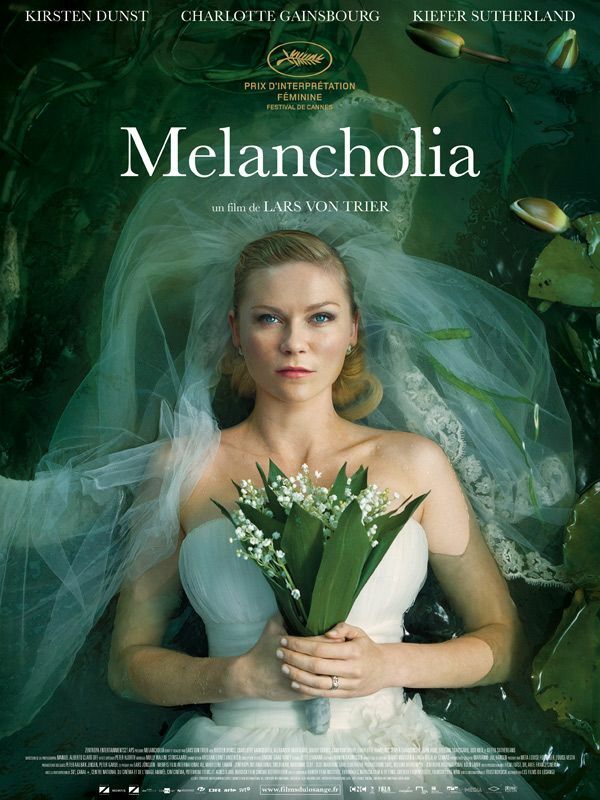 First off, don’t believe the hype as, like any given Lars von Trier film, Melancholia is bound to divide audiences despite its widespread embracement by critics who continue to assure each other that this is an important film (also see this year’s The Tree of Life). Despite its 2+ hour running time, not a whole lot can actually be gleaned from this tale of apocalyptic despair though it’s hardly a dull ride thanks to an interesting cast and a mounting sense of affecting dread that propels the characters towards their only reasonable fates. Following a gorgeously-shot, music video-like opening sequence that recalls the introduction to von Trier’s previous film, 2009’s Antichrist, the film is neatly split into two halves: the first focuses on depressed ad executive Justine’s (Kirsten Dunst) wedding day, the second on Justine’s sister Claire (Charlotte Gainsbourg) and her family as they prepare for an astronomical oddity. Justine’s despair is apparent from the onset though the source of her troubles is never fully explained. Does she fear aging? Expectations? Unrealized dreams? Or has she simply gazed into the abyss and come to grips with the frailty and pointlessness of life itself? That’s probably the case as the planet Melancholia hurtles through space on a collision course with Earth that parallels Justine’s extermination of everything that humanity usually values. Thus she constantly flits in and out of the lavish, ritualistic wedding held at the fancy estate of her sister and brother-in-law John (Kiefer Sutherland). She ditches her new husband (Alexander Skarsgard) for a random hookup, tells off her overbearing boss (Stellan Skarsgard), and simply confuses or disappoints the rest of the guests that include the likes of John Hurt, Charlotte Rampling, and wedding planner Udo Kier (eternally typecast…). Now flash-forward a bit to a single, post-mental breakdown Justine who has returned to Claire’s home for recovery purposes on the eve of the passing of the titular planet. Claire attempts to both understand her sister and resist her infectious despair while they ride horses, putter about, and prepare for the unexpected (to most) end of all things. The film’s finale is bombastic, an unexpected (and somewhat unnecessary) crescendo to an orchestra piece that crams the oft-ignored despair of everything down viewers’ throats. It’s trite yet powerful and leaves enough thematic ambiguity to make the film more important to some than it will be to others. The Danish auteur provides all of his usual trademark flourishes: shaky handheld cameras, extreme close ups, zooms and pans that intentionally overshoot their predictable marks. There’s plenty to either praise or mock depending on the viewer’s tolerance for well-shot boredom; the anti-von Trier crowd will certainly have a field day with this one while the critics who write based on the reactions of their peers are allowed generous room to ponder the film a plenty. I personally found the film to be somewhat successful and definitely one of the most interesting and affecting releases of the year. But I’m certainly not recommending it to my mother. Melancholia opens today at the Ritz at the Bourse.